Over the years I’ve gone through a lot of headphones, earbuds and various brands in the process. 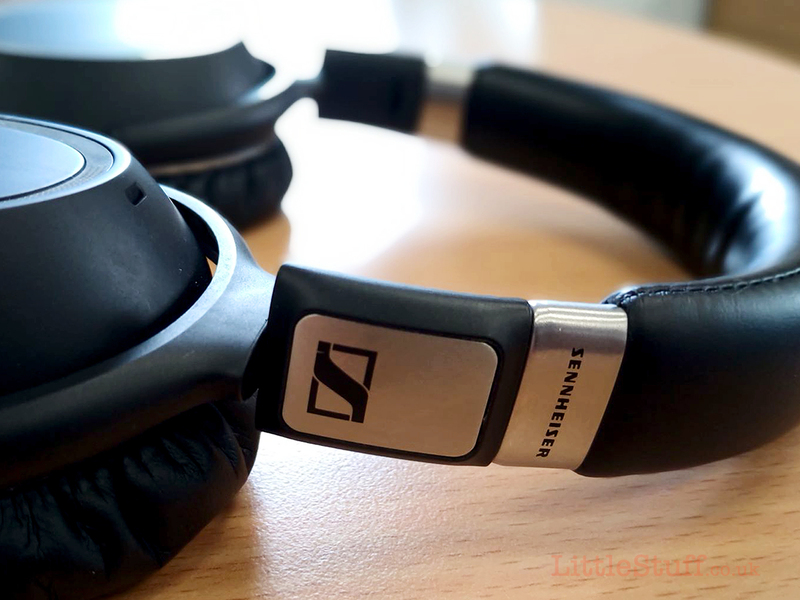 The one brand that has always stuck out as a clear winner in terms of consistency and quality is always Sennheiser. Recently after nearly 3 years of daily use (that’s not an exaggeration, they’d be on my head pretty much from the moment I woke up right until I went to bed) my old Sennheiser Urbanite XL’s finally died. The audio itself still works, but the headband along the top gave way. I wasn’t too upset, I didn’t feel robbed as you can do when a beloved piece of tech breaks. These headphones had flown around the world with me several times, survived skateboarding accidents, a bus crash, countless trains, being stuffed endlessly into a backpack and carried through cities and countryside. No, I had definitely gotten fair use out of these. 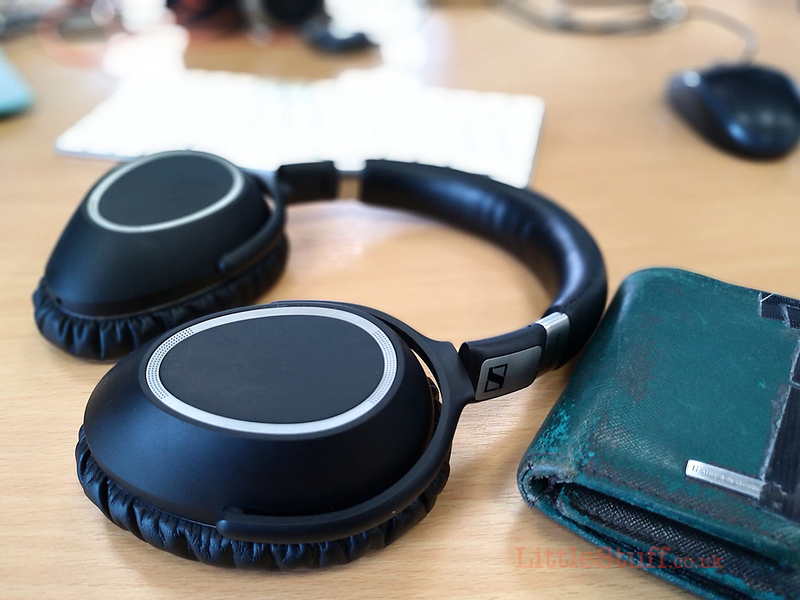 My instinct was to go straight to purchasing another pair, but when I saw the newer later headphones that had arrived in the 3 or so years since I was last in the market for a good pair of headphones, I had to take a look. 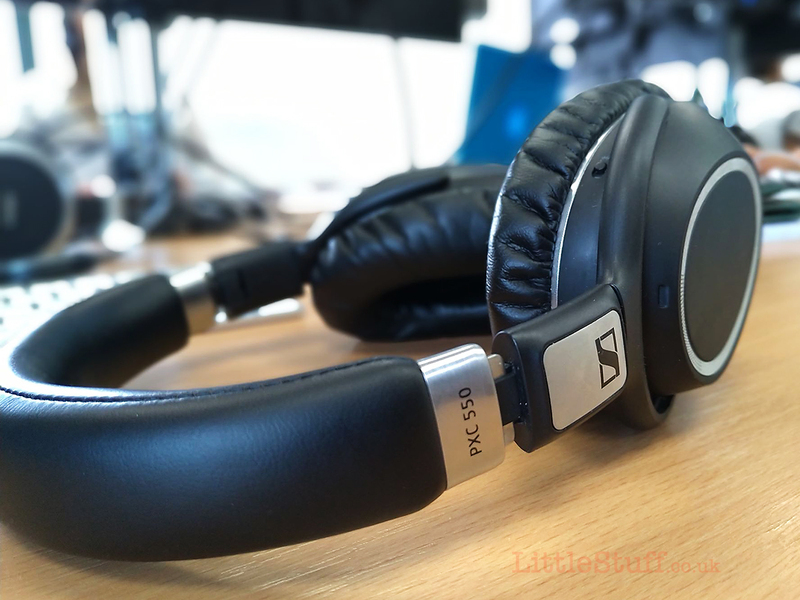 And that’s how the Sennheiser PXC 550’s landed in my lap. What can I say. Right from the word go these headphones were stylish, robust and reeked of quality. They came in a very nicely packaged carrying case within a box. Inside the case you will find an airplane adapter, 33mm jack, amp adapter some instructions. But if you’re going to use these headphones with your phone or a modern ipod or most modern devices for that matter, you won’t be needing any of these adapters. Because these headphones are completely wireless. 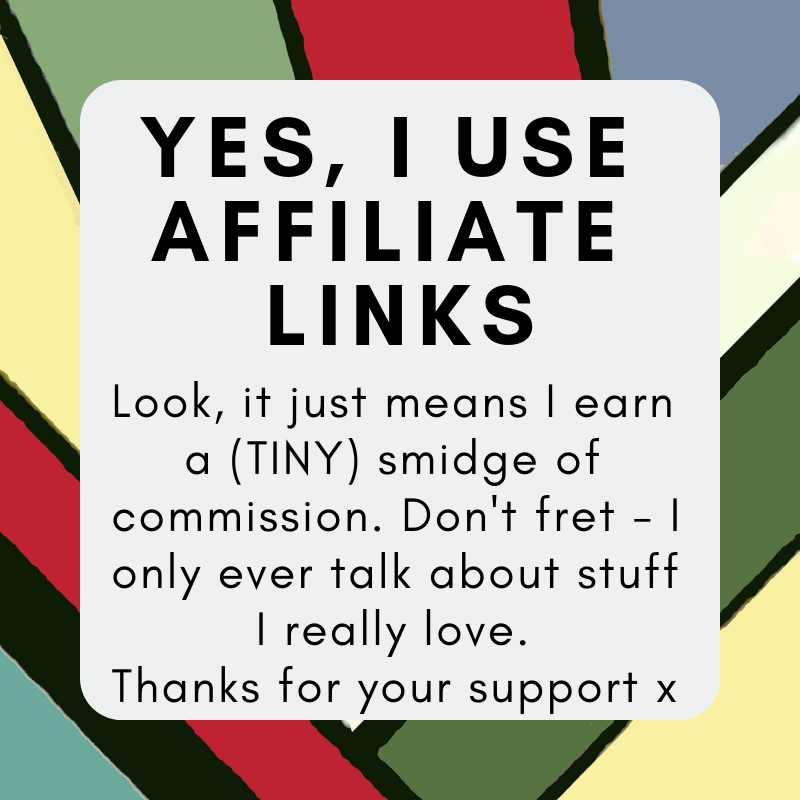 That’s not to say you can’t use them the old fashioned way, because you can – which is super handy for someone like me who flies a lot and still uses an Ipod classic (no Bluetooth connectivity there). I was sceptical about the Bluetooth audio initially, usually if you’re using a wireless headset you’re substituting quality and sound levels for the lack of a wire, something I’d never do. But you’re not sacrificing anything with these headphones. The audio is loud and punchy with plenty of bass with different effects for when you’re watching a movie, calling someone, listening to music. In fact this pair of headphones is so packed full of bells and whistles I could hardly believe it. The side of the earcup is touch sensitive with controls built in, much like swipe gestures on your phone. Which means when connected via Bluetooth you can just swipe the side of your head to change volume, track, change settings, answer a call etc etc. And that’s not all, it has a microphone built into the headphones somewhere hidden away which means no reaching for your phone at all, ever. You can even access google assistant directly from the headphones using your voice, which allows me to be super lazy and just ask it to switch to a different playlist rather than bring out my phone. It also comes with a little app which allows you to create equalisers, monitor it’s whopping 30hr battery life and edit anything you want concerning the headphones. None of this however, is the coolest part. 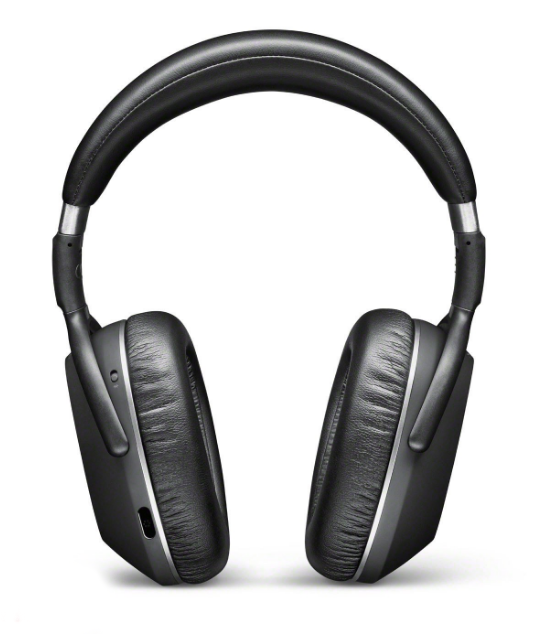 The coolest gadget to be installed is the digital active noise cancelling. Now this is something I had to research because it’s honestly a little bit of magic. It utilises a little microphone in the earpiece that picks up ambient noise, like your children screaming, the roar of an airplane and your co-worker asking for you to cover for them. Then what happens is the headphones creates a small “noise cancelling wave” which effectively neutralises the sound all together. It’s something that honestly doesn’t transfer in words, you’ll just have to try it yourself. It’s frightening how well it works. You can have it off or on, but you can also put it in the middle, using the app to scale the system anywhere between 0% and 100% just in case you don’t want to hear the bus, but you don’t want to feel like you’re in a fish bowl. Couple this feature with the cracking sound that the headphones provide, and you can happily lose yourself in your music, pressing the off button on the rest of the world. It’s marvellous. 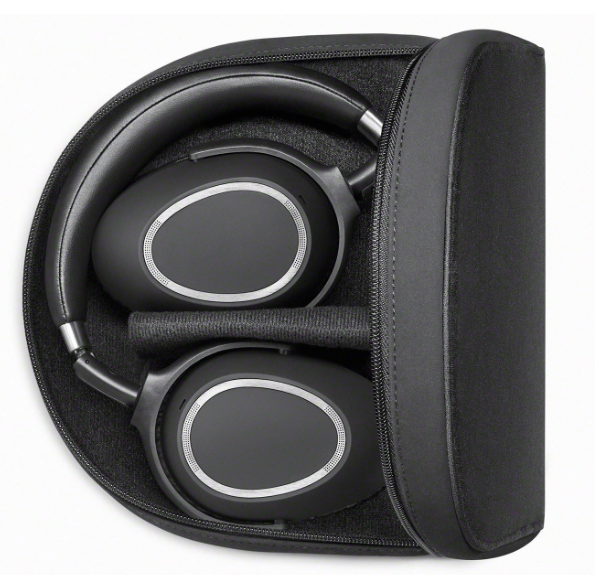 These headphones not only sound great, feel great and are packed full of great features – but they look great too. You won’t look goofy like some fruit based brand wireless earbuds would. They are even a smaller form factor than my initial Urbanite headphones. But they look sleek and sturdy. As well as being incredibly soft around the ears and head, making it incredibly comfortable for prolonged use. There’s nothing I’ve found that I can fault the headphones for. The digital effects work even when you’re connected via an aux cable too, so you won’t be missing out if you’re using a non-Bluetooth device. I’ve been able to sit back and enjoy the new FarCry game, without anybody being able to disturb me. Literally, I’ve had people come into my room, stand behind me and ask me questions that I haven’t heard or noticed. Bloody fantastic. These headphones are incredible and are honestly my favourite piece of tech that I currently own. I wear them every day to work, all the way home, and during all of my free time. 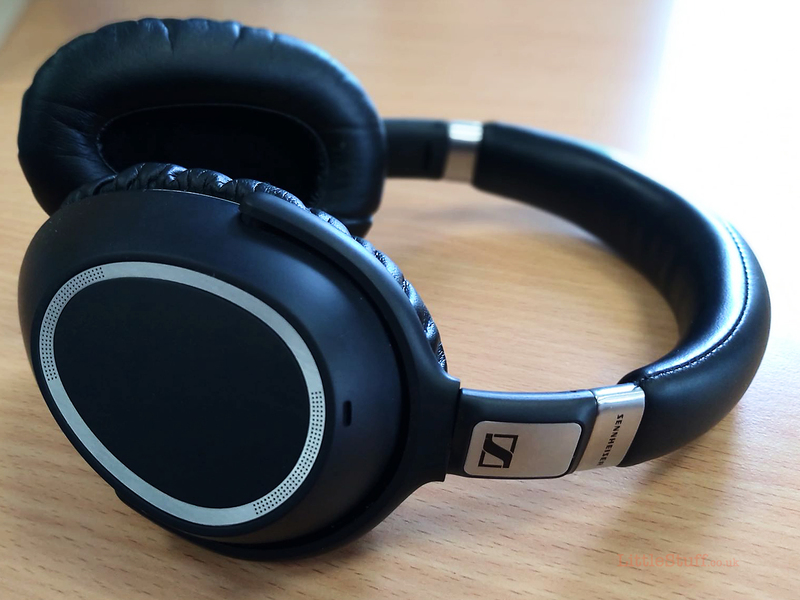 And in that gap between my previous headphones breaking and me getting these pairs, I was really made aware of how much I appreciate Sennheisers’ attention to detail – I had two long haul flights plus connections. This meant around 14 hours with earbuds in. I can’t stress to you how sore my ears were by the end of it, but I didn’t want to hear the screaming baby in 32b (sorry) or the drunk guy being restrained by flight attendants in 19a. With these headphones, you can comfortably zone out and love audio again. I’ll admit that they’re an investment – but the build quality means they’ll handle being your constant companion for years to come. I wish I’d made the step up to these sooner.